A proposed bylaw in Prince George, B.C. that would require landlords there to reimburse the city for police, fire and city service calls is meeting opposition from landlords and tenants’ rights advocates alike. The law would allow city officials and the police to determine if a property is a nuisance. That determination will take into account the number of times police, firefighters or city inspectors have been called to the property. City Council then would weigh in on whether to classify the property as a nuisance. Nuisance property owners would be charged hourly for police, fire, or visits by inspectors. Those costs are based on the service responding. For example, an animal control or parking officer runs about $40 per hour, while a building inspector will cost $50. Police officers and firefighters will cost around $65. Managers and supervisors run $85-110. Certain times and days will generate overtime pay of one and a half times the normal hourly rate. Violators will be charged for vehicles, like a police cruiser at $15 per hour, or a tanker fire engine at $150 per hour. In addition, the proposed bylaw carries a possible penalty of $200-10,000 charged daily for each day of the infraction. Nuisance laws like this are nothing new. Several other cities in B.C. already have restrictions on noise and disturbances. Nuisance statutes also are common is the U.S. But linking nuisance classification to police calls is not without controversy. The most immediate concern is that tenants will be afraid to call police when there is a legitimate emergency for fear of angering their landlords or losing their homes. Such was the case in Norristown, Pennsylvania, when the city council there passed an ordinance that limited the number of times residents could call police before they risked eviction. The second time a victim of domestic violence called police, she was told by an officer that she might be evicted if she called for help again. When the abuser later shoved his way into the tenant’s home, she opted to suffer a beating rather than risk homelessness. The woman nearly died after the abuser slashed her throat. A civil rights advocate, the ACLU, sued on the victim’s behalf, and the city agreed to a $495,000 settlement. In addition, the city was forced to suspend the ordinance. Irritations, annoyances, and objectional situations. Homeowners and landlords alike can be charged under the proposed bylaw, but which properties will generate the most intervention remains to be seen. In other cities, rentals are the more likely targets for enforcement, particularly in established residential areas. The same person might complain numerous times and report even minor infractions. That’s one reason the number of service calls is not necessarily a reliable method for determining a nuisance property. It is unclear whether landlords will be allowed to pass the costs along to offending tenants, although the proposed bylaw does provide that the person causing the nuisance could be assessed hourly charges. If landlords pay the price, it is unlikely that the bylaw will reduce crime. 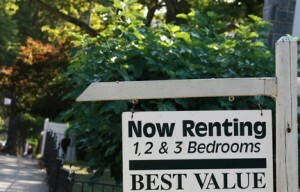 Some citizens and lawmakers assume that landlords simply can evict a problem tenant. Unfortunately, the eviction process is fraught with delays, costly, and there is no guarantee that the landlord will win. This is particularly problematic when the tenant is not charged with a crime or referenced in a police report.